You see these *ssholes walking around with their dumb *ss bibles, blabbing on about JAESUS. These scum f*ck's actually have the nerve to knock on your door, or walk up to you in the street and ask you 'have you heard about JAESUS???' I swear, the next guy who comes up to me and tries to tell me about his imaginary f*cking friend Jaesus, I'm going to shove their bible up their *ss and hang them by their eyelids while I force feed them lima beans. "Have you heard of Jaesus?" The nerve of these pricks- keep your f*cking bullsh*t cult to yourselves- no one cares about your imaginary f*cking friend! You know what else? If there was a Jaesus, you'd think that if he wanted me to know about him he'd come to me himself, rather than sending his f*cking inbred bible thumping micks to blab on about him to me, all because he's too busy Jacking off to do it himself. F*ck Jesus, f*ck the bible and f*ck Christians. Okay if you hate every one equally I guess you might not be a bigot, but that doesn't make you a pleasant person. The only true wisdom lies in knowing that you know nothing. People are not their religion. Hating Jews is not necessary in order to hate Judaism. Hating Christians is not necessary in order to hate christianity. Don't hate the player hate the game, or whatever the kids are saying these days. I hate religion and by extension extremely religious people. If they live their life based on their religion, then my antitheism is going to extend to them as well. I understand your position on this issue, just try to remember that these people have been duped by their religion and are among the victims of exactly the atrocities you hate religion for perpetuating. For example every Jewish man you meet was subjected to genital mutilation. With that in mind perhaps you could be compassionate instead of devisive and callous. At least you're being sincere. You hate these people because you can't stand their annoying speech. In contrast, there are lot of atheists here that don't have the balls to show their dislike and instead they vainly try to prove there is no God in order to put religions down. Religion is not wrong nor right, it's just a cultural expression. If you don't like it, that is ok. Atheists don't believe in God because they don't like religions and not because there is no God. Atheists don't believe in God because they don't like religions and not because there is no God. What a brainless fuking moron. You think you know what atheists think. I'm an atheist and as such a human being, as a human being with a functioning brain I know what I think and am bloody certain that I don't know what other humans are thinking be they atheist or godists. Only the severely and permanently bewildered would make your claim. Now run off and play with your Barbie dolls. Actually and I cannot speak for other atheists, I absolutely think that you have the right to believe whatever you like, just as I have the right to believe whatever I lik. We also happen to also have the right to question each other's beliefs. It is possible through these discussions to come to a better realization of whatever we regard as truth and so they are worthwhile even when we disagree. I am always interested in what you believe and why. So interested in fact that I might question you if I do not understand the underlying logic of your belief structure. I think theists, and I could of course be wrong and am certainly not right in one hundred percent of cases, feel as though I am trying to disprove god when all I want really is to understand why they believe in the god and or spirit world that they do. I am an agnostic atheist. I have no proof of the existence or nonexistence of any god concept. I am actually a skeptical first and an atheist second. I don't believe in conspiracy theories or political solutions either. Just so you know that theists aren't the only ones I can piss off without meaning to. I don't like religion because of its real world effects- I'm an atheist because there is no God, but I wouldn't hate religion if it didn't affect anything. Do you also hate governments? How about the 24 hour news cycle? The education system? Lots of things are systematically and systemically capable of and culpable in notions and actions that are measurably bad for society. I think as far as hate goes if you stop at religion you are leaving money on the table. Metaphorically speaking that is. I literally reactivated my account to tell you that you come across as an edgy teen and this thread is really cringy. You're probably self-aware of this to some degree. 57-year old in Accra, Greater Accra Region, Ghana. I'm a Christian, but I feel your pain. God pisses me off. So do Christians. I love you! I couldn't help thinking about your post. To begin with, I must say that I'm not theist. I am actually agnostic. 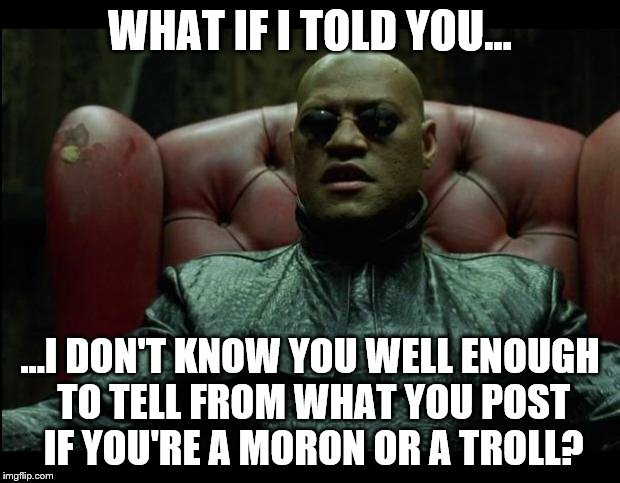 As to your post, I must disagree with almost all what you said. Firstly, it's worthless to question a religion because of a simple reason, it's a religion, a movement based on faith and not logic. You can agree or disagree with logical statements but never with statements that come from faith. Secondly, if you want to understant any religion, you have to understand the belief and not what these people believe in. In other words, you shoudn't try to understand the GOD they believe but why they believe in this GOD, and obviously all the background of this GOD. If you do that, you will realize that this GOD is a distorted concept of an ancient concept of GOD. You know, people tend to distort concepts and figures throughout the history. For example, it's very likely that a person called Jesus existed 2000 years ago, but what it's not true is what the bible describes about Jesus, namely the miracles or the resurrection. What we have now is a distorted description of a man called Jesus. People at this time were probably so excited about Jesus that they added certain far-fetched details, in other words they deify Jesus. This is our human nature, we attempt to glorify figures that we consider great. The only way to know what the bible really means is digging into the history of Christianity, which is time-demanding though. You'll forgive me but I'm more interested in the believer than the belief so what you are saying may be correct when applied to you, but it applies poorly to me. Apparently we have different interests and goals when studying mythology and those who believe it. There is nothing wrong with that of course. It takes all types. I also apologize if I somehow implied that I could know your beliefs or dictate them to you. That was certainly not my intention. Lastly I apologize if you have somehow gotten the idea that my comments are meant in any way to be evangelical. While genuine inquiry sometimes results in atheism I do not have this aim in mind. I simply meter tire of examining my beliefs and the beliefs of others. No need to apologise. I just thought you'd need more study in order to know the truth. The more you know about the society and the human being the more you understand their behaviour. I would except that as an axiom. Also as good advice.